This year seems to be a year of ?threes?, because a lot of trilogies are wrapping up, with new ones of the same franchise around the corner. 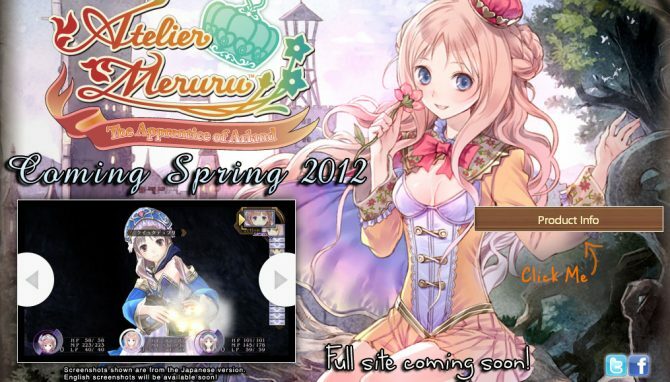 Atelier Meruru: The Apprentice of Arland is no exception. 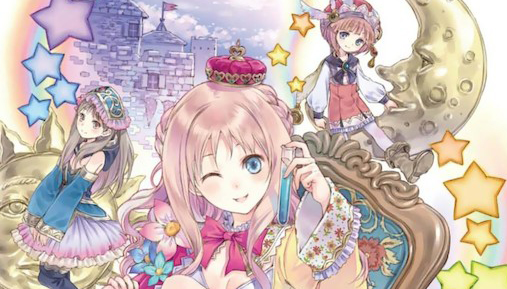 It?s the final title in the Arland trilogy that began with Atelier Rorona, then, last year, moved on to Atelier Totori. In the past, improvements and changes have been so slight you could swear you were playing the same game from iteration to iteration. Does that hold true for Meruru, as well? 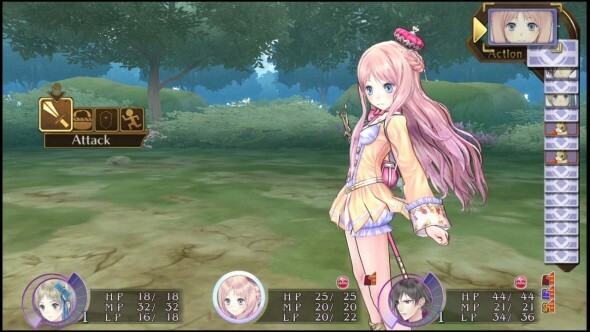 In Meruru, you play as Princess Meruru of Arls, which is a neighboring kingdom to Arland. As in the past, there seems to be a line of succession here, in more ways than one. Rorona went on to become an instructor to Totori, and the same thing happens this time around, in a manner of speaking. 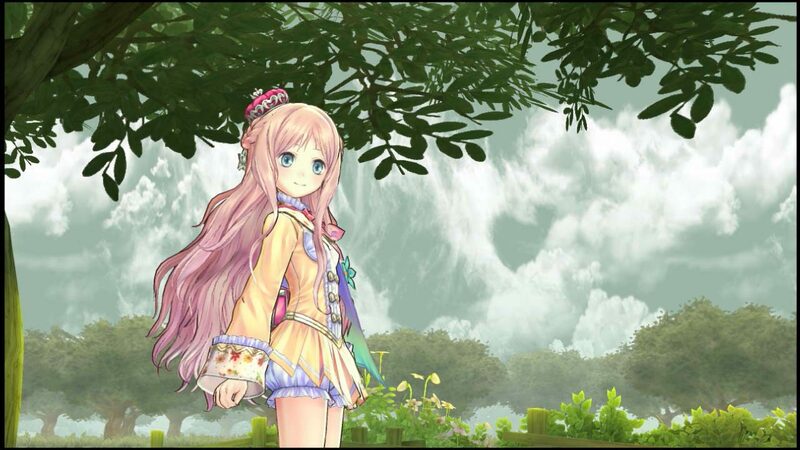 Totori has moved from Arland to Arls and set up an atelier there. 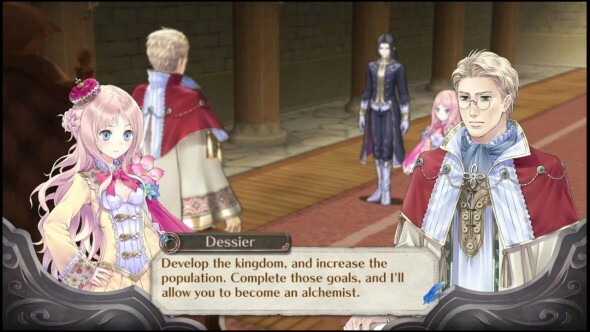 The King of Arls gives his daughter, Meruru, a task to help improve the kingdom through the use of alchemy. If she can do that, then her devotion to the trade will be recognized and she?ll be considered one of the great alchemists of the time. Of course, Totori plays a part in her training. Along the way, as usual, she?ll meet a crazy cast of characters that cover the spectrum of character archetypes from hilariously serious to lighthearted prankster. The cool thing about this is, if you?ve invested time into the previous games, you can sort of get an idea of how many characters that we?ve grown to love have evolved and what they?re doing now, years down the line. It?s analogous to rounding out Miranda?s personal story in Mass Effect 3 before the end of the franchise, or seeing how mature Hope has become between Final Fantasy XIII and XIII-2. The writers at Gust do a great job of presenting us with variety when it comes to the main characters of these games, as well. While Rorona, Totori and Meruru all share some common personality traits, they all have their quirks. Rorona was more serious and Totori was practically an emotional wreck. Meruru is a very direct kind of girl, but more of a goofball than anything else. Unfortunately, I think the story this time around suffers a loss in the emotional impact it has with the player. We?ve sort of regressed backward in an unwanted way. Previously, Totori?s story was very much focused on a personal and important part of anyone?s lives ? their mother and, generally, their family. This brought the story in that game to a very personal level and something that we can identify with. While Meruru also carries traits that I?m sure we can identify with, as well, the concept of improving her kingdom ? while I?m sure very personal to her ? is something rather alien to most of us. How many of us has an entire kingdom to take care of? Case in point. I felt a disconnect between the character and the story, as well as between the story and myself, the audience, this time around, and it sort of left a sour taste in my mouth. Not that the story in any of these titles is anything to write home about, but I miss the more personal touch and emotional impact that Totori had. She might have been an emotional wreck, but the interaction about her mother and with her sister throughout the game brought a touching, sincere air to the entire experience, which is sadly lacking here. On the other hand, the graphics themselves add great visual appeal to the game, and the artwork is top-notch. Just looking at this game, its characters and its world makes me happy, and it?s hard to explain why. While the voice acting may be hit or miss at times, NIS America always does a great job with localization of the dialog itself, and that doesn?t change here. There were many moments when the dialog made me laugh out loud, literally, and that is a big part of making this game (and, really, the entire franchise) so enjoyable for me. But, like I implied, no one really plays this series for anything other than the challenge of the time management mechanics and snazzy alchemy system. 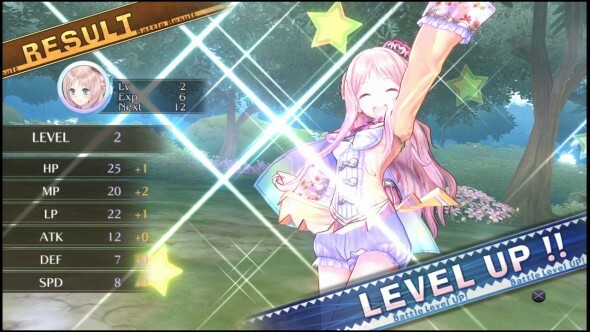 What Meruru adds the series this time is land improvement. You can move materials to a region, build structures there (such as a windmill or a farm) and, by doing so, improve the land and the ingredients that you can gather therein. It adds a lot of extra depth to the tried and true ?ingredient farming? gameplay that has been present in the franchise for quite some time. One of the issues this alleviates is the fact that areas you unlock early in the game don?t really get ?old?, per se. In previous titles, gathering materials were fixed, so the places you explored and gathered from early in the game became basically useless half way through, and certainly so by end-game. Not so this time around, as building improvements in and around the early areas as the game progresses also equates into those areas producing higher quality and a larger variety of materials. I found this whole gameplay addition to be a vast improvement, actually. In fact, it may be one of the best additions to the franchise as a whole in quite some time. It both fits with the story and adds much needed depth to the already great and ever-present alchemy mechanics. Also, in connection with this development system, you earn points that can be used to build up your own home town. In much the way a turn-based strategy game like Civilization works, improvements you build in your town provide you with various benefits. The most notable of these are the ones that fill your pockets with extra cash, but there are also improvements that improve your party growth and alchemy results (and many other things). If you read my previous two reviews in the series, you?ll know by biggest issue is the battle system. Its simplicity may be charming ? and the game itself relies more on the characters, dialog and alchemy portions to add depth, with the battle system being more of like a mandatory side quest ? however, a lot hasn?t been done to it at all through these three games. Nothing changes here, and if you were bored with the ho-hum of the battle system previously, you?re still going to be bored with it now. As much as the battle system was more like an afterthought, the alchemy mechanics are, obviously, the crux of the gameplay for the entire franchise. 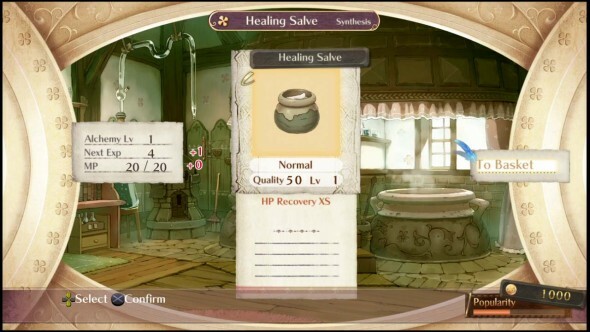 As always, it feels very daunting at first, but as you fall into the time management routine of the game as a whole, synthesizing items will quickly become second nature to you. The system has so much depth you can probably dig a hole to the other side of the planet, and that depth gives you a sense of ownership and a feeling of accomplishment that crafting systems in other games rarely give you. Obviously this is the focus of the game and where the developers spent most of their time. For me, after having played the two previous games ? 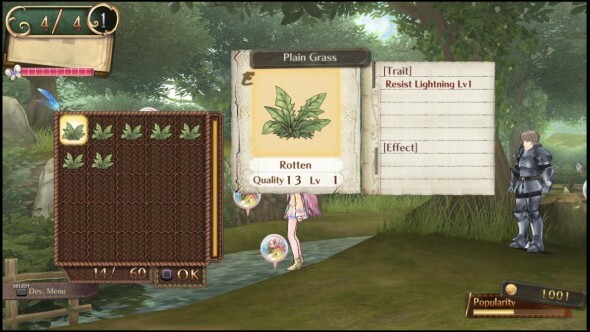 and having been a fan of Atelier games for quite some time ? I?m sort of surprised how great it feels when you create something that you need to use in the game for various reasons. Sometimes synthesis feels like a necessary requirement to progress the story, but you sort of take it for granted. While it is mandatory, making things for your own use is actually fun, and very challenging, trying to get the right quality items to make an item just like you want to make it. This is especially true when it comes to synthesizing your own weapons and armor. Every time synthesis completes, I?m practically on the edge of my seat hoping it?s a good run. There are some more great things going on here, as always, including the usual alternate endings based on various things you do throughout the game. It?s nearly impossible to see all the endings on your first play-through, so there is some definite replay value if you aren?t burnt out on the glorious goodness of synthesizing after spending nearly 40 hours going through the game the first time. 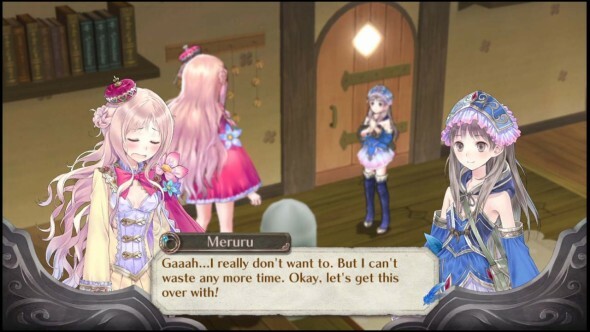 Overall, Atelier Meruru is actually a sizable improvement over the previous two titles, if for nothing else than the inclusion of the slightly strategic and gratifying building options you get to improve your home town and the surrounding areas. It adds an unusual sense of accomplishment and depth to the entire package. It?s a shame, once again, that there have been no real improvements to the battle system, but if you?re playing this game solely for that, I would tell you that you?re not playing for the right reasons. 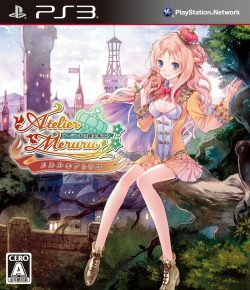 This is a great title to round out the Arland trilogy and certainly worthy of a place in your PS3 library of games. JRPG fans certainly won?t be disappointed with the fun, quirky dialog and the gorgeous artwork, and the depth of the gameplay will keep anyone coming back for more.